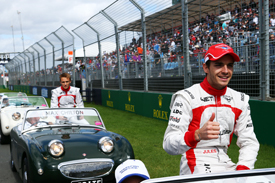 Jules Bianchi: A lost champion? In a happier moment in the Suzuka press room on Sunday morning, a few hours before the accident that would lead to Jules Bianchi's death, I was considering the top 10 ranking for AUTOSPORT's end-of-season Formula 1 review. This was just one moment in a lengthy process that usually lasts several months. But among the names being considered for a place in my provisional list of the best performers of the season was Bianchi. In the end, he just missed out on a place thanks to a shaky first few weekends as he adapted to the new demands of the 2014 cars. But he had still made a big impression. He had scored only two points and his efforts towards the back of the field would not have shown up on most people's radars, his wonderful drive to ninth in the Monaco Grand Prix excepted, but even in limited machinery his class showed through. It is too easy to declare anyone tragically cut down early in their career as a future world champion. For me to do so unreservedly would be a cop out. It would be insulting to his memory not to offer an honest assessment. So I'm not going to declare with absolute certainty that Bianchi was going to be a world champion. But nor am I going to say that he wouldn't have been. For make no mistake, Bianchi was a seriously good grand prix driver with enormous potential still to be realised. He could have become a great one, and that's something you can only say about a select group of drivers. What was most exciting about Bianchi was that, had he survived, he would have had the chance to pursue that dream as far as he could have done thanks to his status as a Ferrari protege. The Scuderia certainly saw how good he was and on the day of his crash, he was close to securing a drive with the Ferrari-powered Sauber team for 2015 as an interim step to give him the chance to prove beyond any doubt that he could thrive for the prancing horse. Had that Sauber move happened, there's no doubt he would be sitting on a healthy batch of points by this stage in the season. The speed was certainly there. This is the first pre-requisite of any great driver and it was in evidence throughout his car-racing career. He transferred that pace effortlessly to the top level when he was given his unexpected chance to race for Marussia in 2013. What was most encouraging is that the pace wasn't fleeting. Bianchi could usually be relied on to deliver in qualifying trim, with the bite of fresh rubber under him, but he could string those laps together in race situations as well. From trackside, he was one of those drivers who seemed to be controlling the car, rather than it controlling him. His default style wasn't about constant tiny corrections, improvising from corner to corner. Instead, he set up the car to do what he wanted under braking and on turn in, delicately shifting the weight around and producing good laptimes with as much smoothness and style as the Marussia, a car not blessed with an over-abundance of downforce, would allow. The fascinating question is whether he had the mental strength to express this speed in the white heat of competition at the front of the F1 grid. That is what would have dictated whether he was a driver 'only' capable of winning races, but of stringing together a whole championship campaign. During his junior career, as well as many classy wins, there were a few rash moments under pressure when fighting at the front of races and for titles. 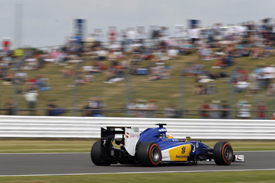 These concerns played a part in him missing out on the Force India drive to the experienced Adrian Sutil in 2013. There were memories of the occasional error, such as shunting the new 2012 car at Jerez and costing the team a valuable day of testing. In that regard, a graduation with Marussia was probably the ideal place for him to learn the ropes in F1 with a low-profile rookie team with little pressure of expectation. And he took the opportunity superbly. Thrown into pre-season testing when it was already well under way, he slotted in effortlessly. Soon, he was impressing the team with his precise and reliable feedback, giving honest, accurate information that made the jobs of his engineers much easier. There were a few times when the team found him a little noisy over the radio when things weren't going well, such as in Singapore last year when he ended up running behind team-mate Max Chilton on track, but he took criticism on board. But even those complaints were minor. From the moment he stepped up to an F1 race seat he came across as a more together driver. "I'm totally different to what I was like in GP2," he told me in an interview in mid-2014. "The speed is still there, but in GP2 I would struggle with tyre management. "I also struggled to stay calm and made a few mistakes, it was the downside of my driving. "I have improved a lot since. In the races this year, I am sometimes able only to one-stop because I am looking after the tyres. As soon as I reached F1, I went up a step." 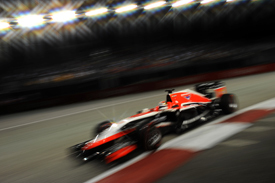 It was always likely to be Bianchi that seized the opportunity to score points when it arose for Marussia. There was only one real chance, at the 2014 Monaco Grand Prix, and he drove immaculately even when things were going wrong. The key moment of that race was his pass on Kamui Kobayashi at Rascasse. It was forceful, but it also showed Bianchi's steel and determination to get the job done - and his elbows out if necessary. The 2013 version of Bianchi might not have come out of that race with a points finish. 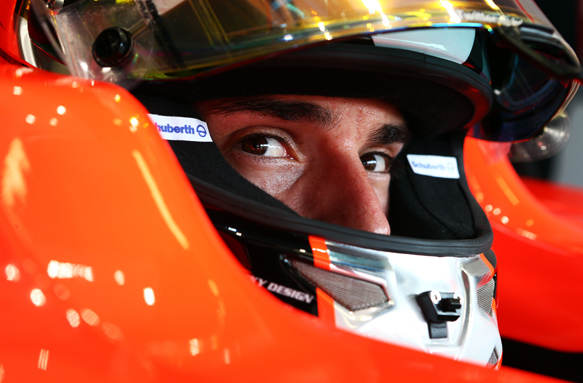 For there is no doubt that Bianchi was tackling his weaknesses and becoming a driver to be reckoned with. He was patient too, resisting the temptation to shout from the rooftops about his credentials as a future Ferrari driver and instead focusing on the task in hand. And that allowed him to get good results even for a minnow team. How that would have translated into 2015 and beyond, it's impossible to say. But as he hinted with his test for Ferrari at Silverstone last July, were he in a completely red car in 2014, rather than a red, black and white one, he would have been consistently in the top six in what was not a great year for Ferrari. Even in a decent midfield car, there's no doubt he would have been capable of regular points finishes. And had he done that, then a place at Ferrari a few years down the line was likely. Then, it would have come down to how he reacted to the intensity of a title fight. The unknowable answer to that question is central to whether he would have fulfilled his full potential. None of this really matters now, certainly not to his family and friends who will feel his loss intensely for the rest of their lives. But for the wider F1 world, we've all lost the chance to watch a driver of very real promise enjoy the career that he deserved. And he was someone who you always felt deserved his success. He was always a pleasure to deal with and it's with regret that when I caught up with him after qualifying at Suzuka the day before his crash, all I asked him about were the mundane details of his qualifying session - delays during Q1 meant that he wasn't able to complete his planned third run after the clock ran down - and his thoughts on the relative merits of GP2 and Formula Renault 3.5, both categories in which he was a winner. You always feel that an interview in such situations should cover something of real substance and significance, but it was just another pleasant, informative chat in which I had the chance to learn a little more about what he was about. But I do feel incredibly fortunate to have been able to attend every single one of Bianchi's grands prix. During those 34 races, he showed tantalising glimpses of what he might be capable of in a better car. Would he have become world champion? Nobody can ever know that now. But the raw materials were certainly there. For the rest of my life, memories of what he did do in F1, and thoughts of what might have been, will remain. 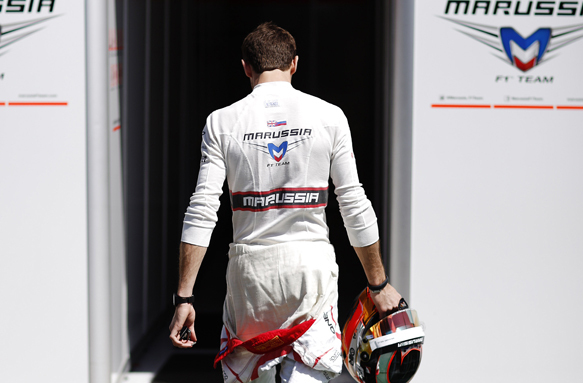 It was a privilege to watch you in action, Jules. You will be remembered. How should F1 shake up its race format? What's happening to the F1 ladder? Edd Straw is the editor of AUTOSPORT magazine, a role he moved into after six-and-a-half seasons covering Formula 1, during which he became Grand Prix Editor. Originally from Guernsey in the Channel Islands, he joined AUTOSPORT in 2002 shortly after graduating from university. He went on to cover a wide range of categories from club motorsport to the World Touring Car Championship and Le Mans to Formula 3 before switching to F1 full-time at the 2008 French Grand Prix. In his spare time, he was formerly a club racer whose abilities did not match his enthusiasm in a variety of categories.